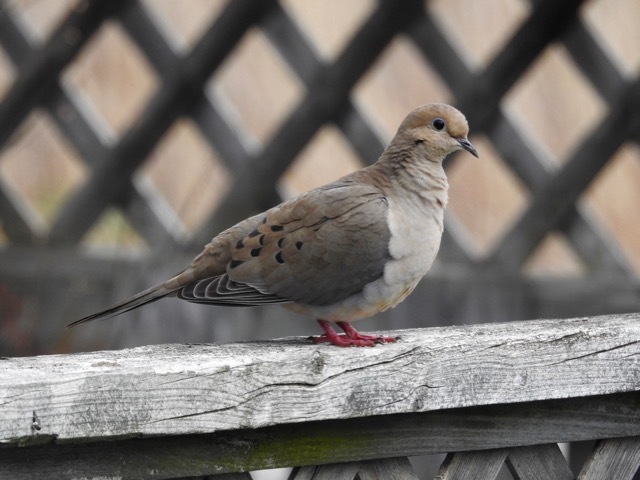 Mourning Dove – Zenaida macroura: a very nice couple I must say. 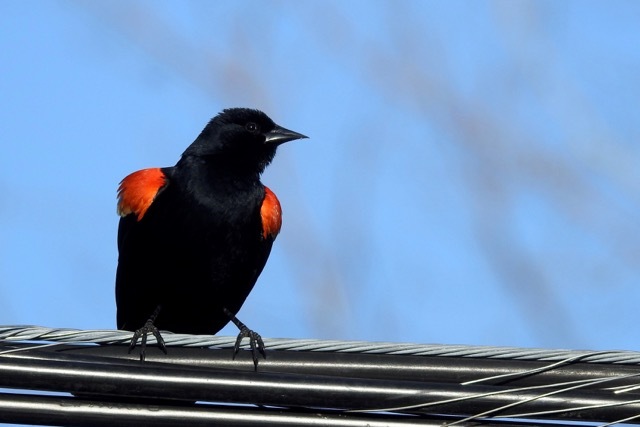 Red-winged Blackbird – Agelaius phoeniceus: Behind our house there is a cycling path. And some males have been chasing and attacking cyclists inadvertently venturing too close to their nests. 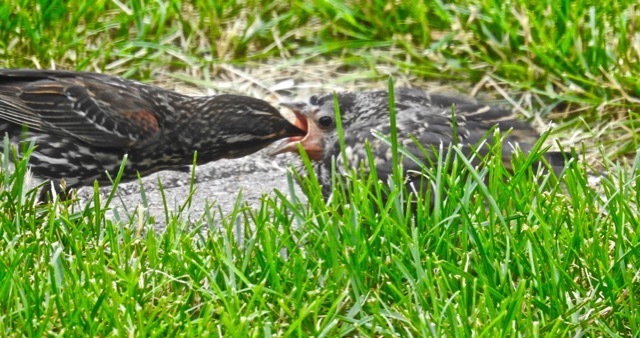 And a female red-winged feeding the young one. These photos I took at the Récréoparc de la ville de Ste-Catherine on the south-shore. 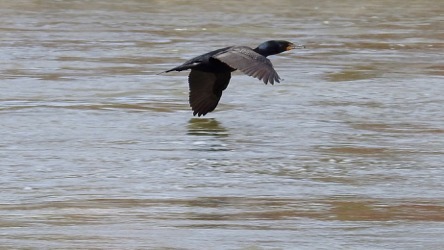 An ideal stop for migratory birds. 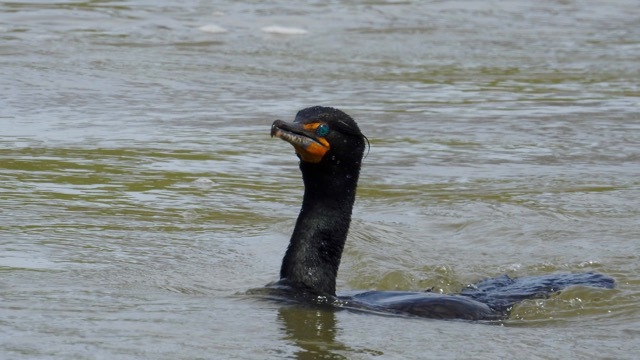 Some photos of a Double-crested Cormorant – Phalacrocorax auritus. 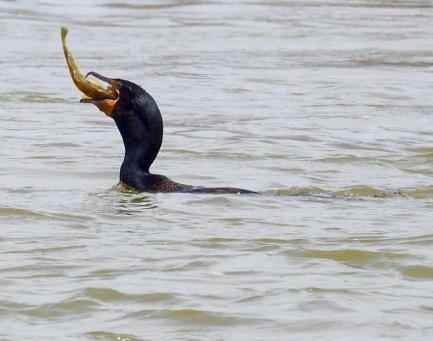 A happy fisher! 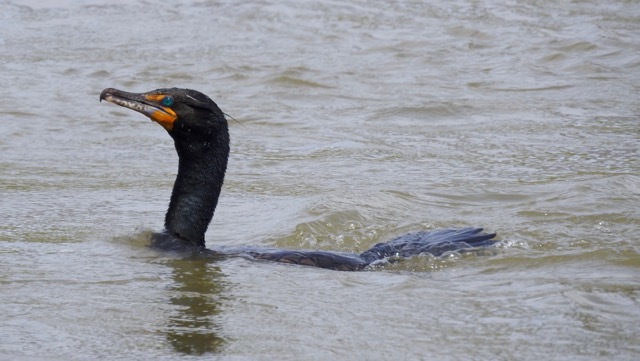 I was amazed by the look of his wet feathered body: part bird, part fish! 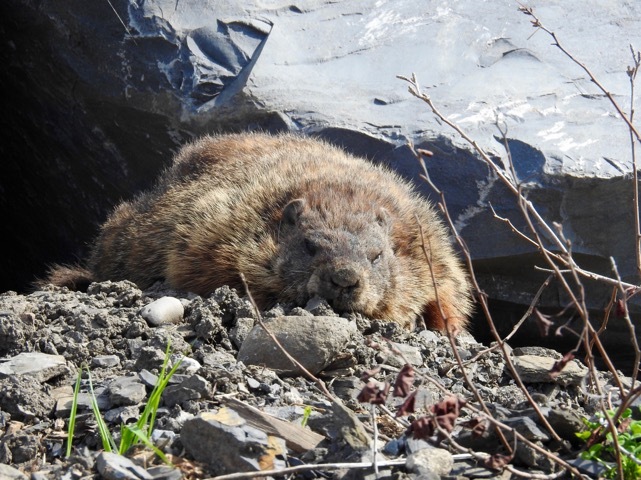 A sunbathing monsieur Siffleux (groundhog) – Marmota monax. 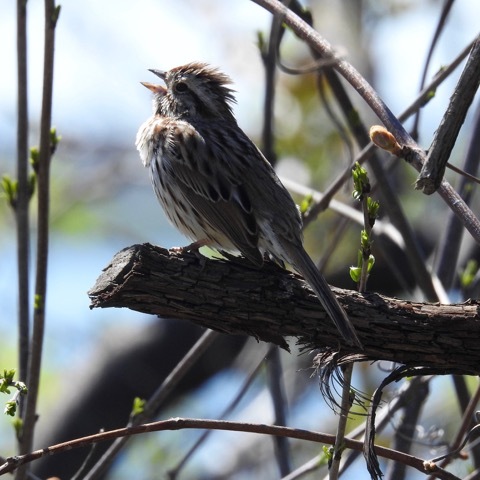 A Song Sparrow – Melospiza melodia. That is my best guess. I may be wrong with the name, but what a lovely song! 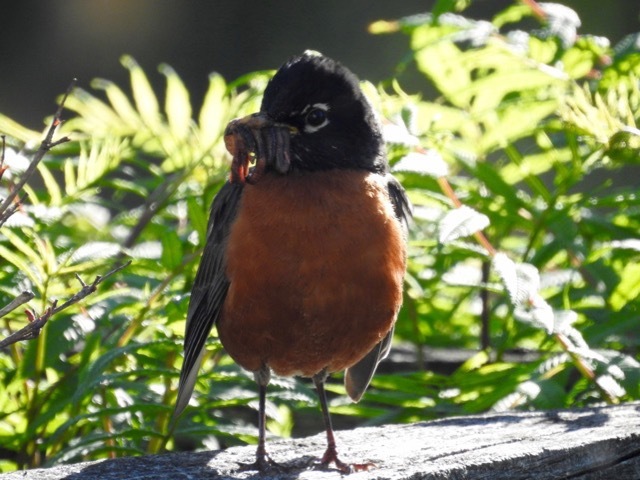 This entry was written by whyevolutionistrue and posted on July 14, 2018 at 7:30 am and filed under birds, mammals, photography. Bookmark the permalink. Follow any comments here with the RSS feed for this post. Both comments and trackbacks are currently closed. Very nice photos. 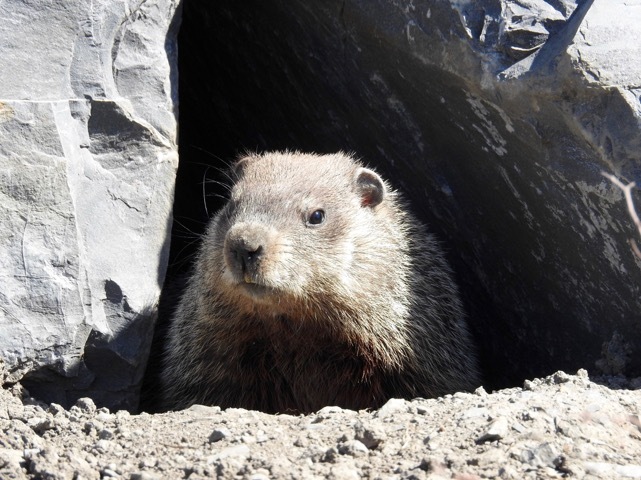 My favorites are the Cormorant and the groundhog. Thanks! also for the identification of the fish! Love these. 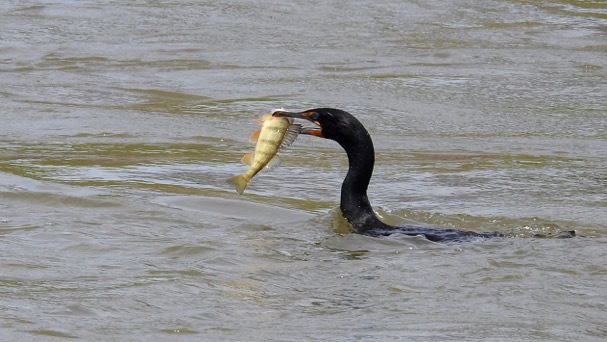 I don’t know about Quebec, but in Vermont, the cormorants are hated. The state kills hundreds a year because they ruin land and displace other nesters. I found one once inadvertently trapped in a net in the middle of South Bay on Memphremagog and no rehab person would rescue it. That’s horrible. If we are going to kill species that displace other, prettier species, clearly we would have to start with ourselves! We are horrible beasts. Lovely. 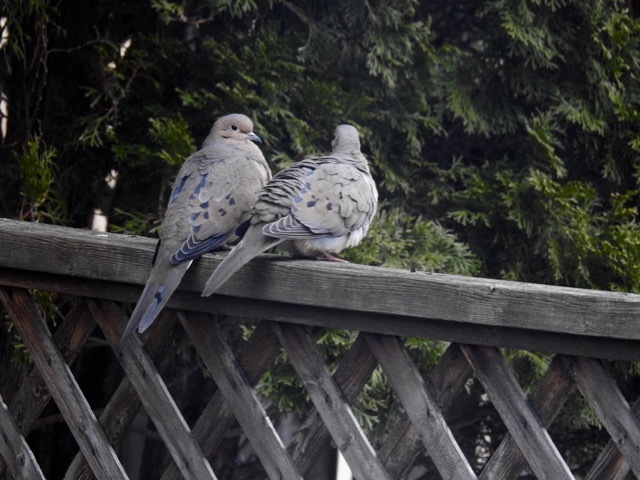 There is something about that picture of the mourning doves that immediately brought to mind a sweet elderly couple out for brunch. I will never be able to look at them any other way. These ‘marmotas’ (rodents) look very much like ‘Dassies’ (Hyrax, Afrotheria)). 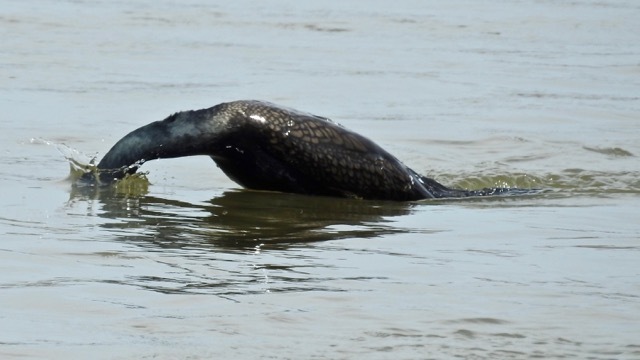 Is that convergent evolution, or just a kind of non-specialised ‘default’ morphology? Very nice collection of photos. 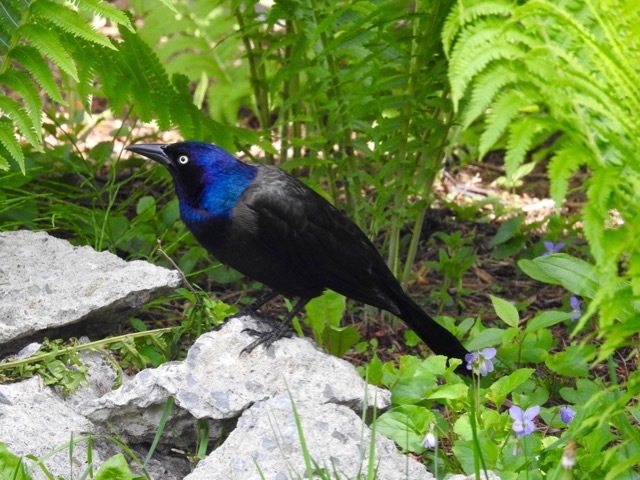 The vibrant blue on the Grackle is amazing. The light was perfect for Mister Grackle!